We do our best to keep things simple and easy to understand but not everyone in our industry does, so we have put together a glossary of “what the heck are they talking about” terms and definitions. A type of insurance that covers death or injury caused by accidental means. Death is that is not due to natural causes and injury that causes the loss of the use of certain body parts or eyesight. Usually, insurance companies require that you did not know that the risk of an activity would result in a loss, and that you did not know that any events leading up to that activity could result in a loss. If death occurs from an accident, the insurance company will usually pay an additional benefit that is more than standard life insurance, on average, it is double the death benefit. The person who has an annuity, segregated fund, RRSP, or RRIF and receives the benefit/pay out from it. When you transfer ownership of an insurance policy to another person, business, or charity. A medical report that the insurance company gets from your doctor. Insurance policies which have a cash value also have an option that once the value reaches a certain level, you can use it to pay your premiums. Once the cash value is exhausted, the insurance policy will have a 30 day grace period until it terminates/cancels unless further payments are made. The person or business who receives the value of an insurance policy when the life insured dies. A term used to describe an income or payment received from an life or disability insurance policy. The length of time an income will be received. This normally applies to disability-income benefits but can also be used for life-insurance death benefits, where multiple payment options are available. A type of insurance that covers most expenses when the prime revenue earner is unable to produce because of an accident or sickness that causes disability. A business-overhead insurance policy is highly valued by sole proprietorships and partnerships. A legal contract between the seller (the sole proprietor, partner, or shareholder) and the buyer of a business. These agreements, funded with life insurance, provide the beneficiary with sufficient funds to acquire the deceased’s interest in the proprietorship, partnership, or corporation. For example, if one partner dies, the benefits go to the partner/beneficiary, who can now purchase the business from the deceased partner. The amount of money that builds up in a permanent life insurance policy. Depending on the type of permanent policy you have, you may have the option to withdraw the cash, use the money to pay for your premiums, take a loan out against it, or have it pay out to your beneficiaries (in addition to the death benefit) in the event of your death. Specific situations, conditions or circumstances that are listed in the insurance policy as not being covered. All life insurance policies come with a “free look” period which entitles policyholders to a right to cancel without penalty. This period lasts for 10 days immediately following the delivery of your policy. During the free look period, you are allowed to contact the insurance company and/or your agent and cancel your policy without being subjected to fees or penalties. Any money paid to the insurance company prior to the end of the "free look" period will be refunded. A written contract for insurance between the insurance company and the policyholder, stating which events and damages are covered and which are not. Everyone who applies for life insurance is assessed for coverage. Insurance companies provide coverage and premium rates in accordance with an applicant’s risk level. An insurance policy where the insured person does not meet the company's standard insurance requirements (for example, because of a risky occupation or weight) may be charged a higher premium. A person who qualifies to buy insurance at the company's regular premium rates. A provision in a life insurance policy stating that benefits will not be paid if the person insured commits suicide or dies as a result of self-inflicted injuries within the first 2 years of the policy being in force. This is the most basic and economical type of insurance. It is ideal for those who have a short term need to cover an expense if you were to pass away or for those who do not need any bells and whistles and just want simple life insurance. This type of insurance covers you for a predetermined time. Term is often also called temporary insurance. Similar to a Whole Life Insurance policy, a Universal Life (UL) is permanent insurance that stays with you your entire life. It has an investment component built into the policy, but where it differs from whole life insurance is that you control the funds within it. There is an assortment of different investments to choose from and as the value grows (called the cash value), it is protected from taxation. The investment is paid out in addition to the death benefit or you can use it before you pass away to pay the premiums, withdraw the cash, or take a loan against it. The success of the cash value depends greatly on the investments you choose and market performance. This is considered one of the types of "permanent" life insurance that provides lifelong protection. It has a built in investment component (called the cash value) that grows at a predetermined rate but is tax-deferred, meaning you will not pay taxes on its gains while it grows in value. Some whole life policies also pay a dividend (a portion of the insurance companies financial surplus). You can take the dividends in cash, invest them into the policy to earn interest, use them to decrease your premium, repay policy loans or buy additional coverage. There are two ways to determine when your coverage year starts and when it resets: benefit year or calendar year. The benefit year is the 12-month period following the date a claim for a specific benefit is first incurred, and each 12-month period thereafter. An independent person or firm who does not work for any one insurance company and acts on behalf of the client (insured) in provide advice, guidance, and placing business with the insurance company. There are two ways to determine when your coverage year starts and when it resets: benefit year or calendar year. The calendar year is the 12-consecutive-month period that begins on January 1 and ends on December 31. Sometimes two insurance plans work together to pay claims for the same person. For example, you have dental coverage through your employer plus coverage through your spouse's benefit plan. The two insurance companies will work together to pay your dental bill. A copay is a fixed amount paid by you for receiving a particular health care service (such as prescriptions, massages, dental visits, etc), with the remaining balance covered by their insurance company. Sometimes, the pharmacist charges a fee when providing you with a prescription. These fees vary widely from pharmacy to pharmacy and are not always covered under your health and dental plans. Polishing: Smoothing the tooth surface to make it difficult for plaque to accumulate on the surface area. Scaling: Removal of dental plaque /calculus from the surface of a tooth. Third party liability covers the cost of when, you as a driver, either damage somebody’s property or cause injuries or death to someone else . You are not allowed to operate a vehicle without this insurance coverage. 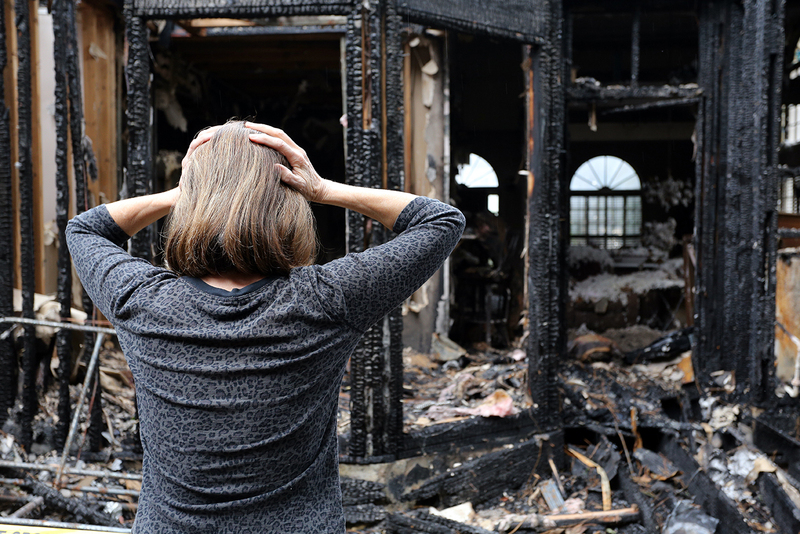 If an insured loss requires that you temporarily live outside of your home while repairs are being made, the additional costs you incur are covered. Examples include hotel accommodation, restaurant meals, and laundromat use - costs that you would not have had if you were still able to live in your home. A licensed person employed by an insurer to evaluate the merits of a claim, determine the amount of loss or damage, and make recommendations regarding settlement. Is a type of insurance policy that is also known as "all risks," and means your contents are insured for every type of loss, unless it is specifically excluded from your policy. A driver who's deemed legally responsible for damage caused in a car accident. In many cases, whatever percentage of fault an insured driver has in an accident, his or her insurance company pays that same percentage of the other driver’s damages (assuming it’s within the at-fault driver’s coverage limits). The at-fault driver would be financially responsible for any excess amount. Building code and zoning law changes don't usually apply to existing buildings. Therefore, if you suffer loss or damage to your dwelling, you may have to rebuild to current standards. This coverage should help pay for the additional costs for complying to the new by-laws following an insured loss. A document listing your coverage, which includes the name of the insurer, the policy period, the limitations of coverage, and any lien holders on the property. The percentage you’ll have to pay for damage or loss to your home or possessions. When paying a claim, your insurance company subtracts the amount of your deductible from what it owes you. A decrease in the value of property over a period of time resulting from use, obsolescence, or wear and tear. Every policy has the same basic coverage, dictated by each respective provinces laws, and an endorsements is optional coverage that may be used to add, delete, exclude, or otherwise alter it. Endorsements may also be referred to as riders. With property values rising across Canada, it can be difficult to estimate the replacement value of property from year to year. Guaranteed replacement cost (GRC) coverage pays for replacement without reduction for depreciation and allows it to be rebuilt, even if the damage exceeds your policy’s limits. Identity theft is when someone else uses your information, such as your credit card, social insurance number, or name without permission. It can take months or even years to restore your good name, credit rating and legal standing. This coverage will reimburse you up to up to the limit of the policy (typically $10,000 - $40,000) for expenses including legal fees, the cost of notarizing affidavits or sending certified mail, and potentially any earnings lost due to time away from work. If you are the victim of this type of theft, don't worry, there is no deductible and an identity theft claims won’t be counted as a claim. 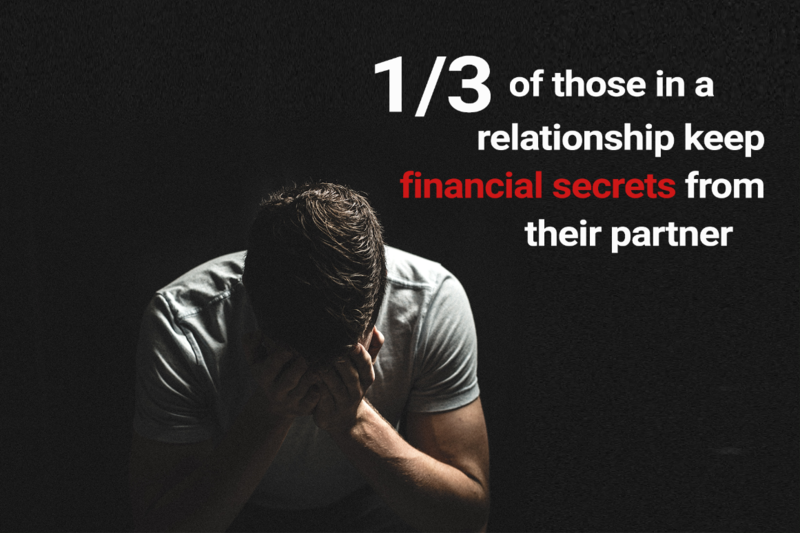 In addition to this, identity theft protection covers not only you but also others living in the same household: your spouse, your relatives and any person under 21 in your care. Liability insurance is a way of protecting yourself in the event that you are found to be legally responsible for unintentionally harming somebody, including both bodily injury and property damage. Without it, you will have to pay the costs yourself if you are sued. Also called Third Party Liability and covers the costs if you are in a vehicle accident and are held legally liable for other people’s injuries, or for damage to another person’s vehicle or property. For example: You hit a patch of black ice while pulling into your driveway and knock over your neighbour’s fence with your car. This would be covered under your automobile insurance policy. The personal liability section of homeowner’s and tenant’s insurance applies both at home and anywhere in the world. It covers you for any injury you unintentionally inflict on others, and for accidental damage to other people’s property. For example: On a family fishing trip up north, your son steers your boat into someone who is waterskiing nearby, injuring the person and damaging their water skis.This would be covered under your home or tenant's insurance policy. It is also important to note that while it’s not technically “liability coverage,” your home insurance policy may include coverage for a voluntary payment when you are responsible for an injury or damage to someone else’s property but are not being sued. For example, if you borrow your friend’s designer gown and accidentally stain it with red wine, you can volunteer to replace it; or if you hit your friend in the teeth when you are playing road hockey, you can volunteer to cover his/her dental bills — and your insurance company can cover the cost. If your condominium association levies a valid special assessment against you and the other unit owners because of direct loss by an insured peril to the condominium property, your policy will pay for your share of special assessments (if the assessment(s) meet the conditions outlined in your policy). Is the price someone may be willing to pay for your asset (eg, home, automobile, stocks, etc) in its current condition. This is often different than the price you paid for the asset. Wind and hail storms have been increasing in frequency over the past several years. As a result, some insurance companies have begun offering to pay for the replacement up to its current value (also called Actual Cash Value (ACV) to replace your roof due to an insured incident. This is the replacement cost minus depreciation (which is determined by the age of your roof). Generally, the older your roof, the higher the amount depreciated; therefore, the insurance company might only pay what it deems the roof is worth after years of wear and tear. This option significantly reduces your comprehensive portion of your premium but will REMOVE coverage for your windshield. All the other glass on the vehicle is covered for any type of damage remains. This is ideal for policies where the cost to replace your windshield is around the same as the amount of your deductible. As soon as you drive your new vehicle off the lot, it almost looses its value right away. This coverage "freezes" the value of your vehicle against deprecation for up to 5 years in the event of a total loss. Without this option on your insurance policy, you will receive a settlement for the current market value (which is lower than your purchase price). Vehicle in for repairs? This coverage offers you reimbursement in the form of a rental vehicle (including taxicabs or public transportation), in the event that yours is not drivable due to an insurable loss. Whether you are on vacation or your vehicle is out of commission, it is a misconception that your automobile insurance automatically transfers to the rental vehicle. It will, ONLY IF you add this option to your policy, otherwise it does not. This option, extends coverage for legal liability from your vehicle to the rental for loss or damage. Note, this coverage is only valid on vehicles rented anywhere in Canada & the U.S. This is roadside assistance - the exact coverage differs between insurance companies. It can cover: delivery of gas, changing of a tire, boosting a battery, or towing when you really need it. This option protects the you from premium increases as a result of an at-fault collision. This can save many thousands of dollars in increased premiums and provide you with the peace of mind while driving down the road as we all know that accidents happen. This is often called Uninsured / Underinsured Motorist endorsement. What if you were in an accident and the other driver is at fault? What if they do not have insurance or their policy does not provide enough coverage to pay for your injuries? This is where S.E.F. #44 becomes vitally important. In the event that the driver or passengers of your vehicle are injured/killed by a driver who is at fault and does not have insurance or has inadequate liability limits, this endorsement will pay for the injuries (up to the limits on your policy). The limit on the S.E.F. #44 matches the your Third Party Liability limit, which we always put at $1,000,000 to $2,000,000. This is a critical safety net for your and your family in the event of a serious loss, and is one of the most important overages to have on your auto policy. * You should review your policy for other terms and conditions, including any exclusions. Tenant insurance is for renters who want to protect their personal property. This insurance also includes personal liability coverage, which covers accidental damage to property not owned by you or unintentional bodily injury to others. If you rent your home, your landlord’s property insurance will not cover your belongings in case of fire, theft or damage. Title insurance provides coverage against risks and losses that relate to your home’s legal title or, more specifically, your ownership. It does not include issues like fire damage, theft or general wear and tear of a home, which would typically be covered by standard home insurance contracts. It offers coverage for a range of different risks, such as: - Title fraud, which occurs when someone uses stolen or forged documents to steal your identity, then transfers your home’s title into their name, without you knowing about it. 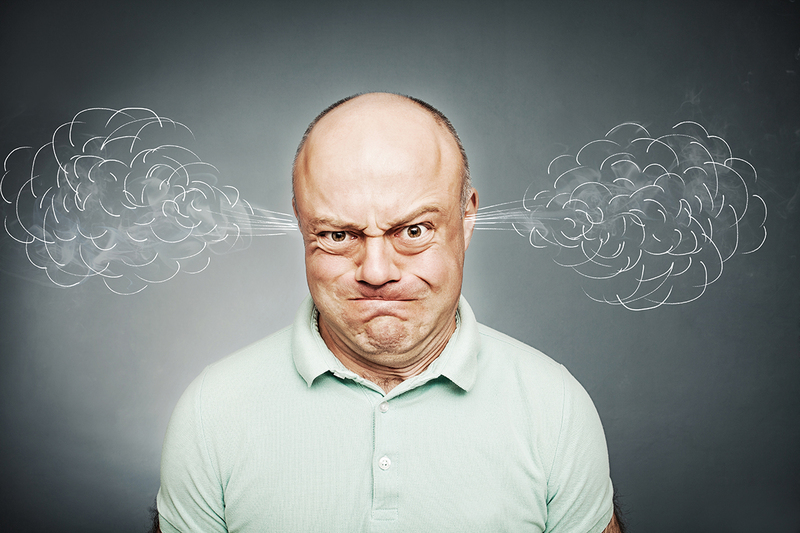 - Existing liens against title, such as property taxes left unpaid by the previous homeowner. - Encroachment issues, where a structure has been erroneously built too close to or on a neighbouring property. - Other title-related issues that can affect your ability to sell, mortgage or lease your home. It is offered by real estate lawyers. Voluntary Medical Payments coverage pays reasonable medical expenses in the year after an accident when you unintentionally injure another person or if they are accidentally injured on your property – even though you are not legally liable. Voluntary Property Damage Payments coverage covers unintentional direct loss or damage you cause to somebody's property – even though you are not legally liable. It can also cover loss or damage to someone else’s property caused intentionally by a minor child (12 years of age or under) in your care. The difference between what you paid for something and the current value of it. In life insurance terms it is used for tax purpose to determine cost of a policy and how much investment growth it has incurred. It is usually calculated as the premiums-paid-to-date, less net cost of pure insurance (NCPI), less any policy dividends received. You invest a lump sum of money with an insurance company and in turn they pay you a guaranteed income (comprised of your initial investment plus growth) for a set period of time, which can be for the rest of your life. Annuities are most commonly used to generate retirement income. One of the options available to pay the service fees associated with investments. Back end load fee are those taken (as a percentage of its value) when you sell an investment, not at any other time. One method of calculating how much pension income will be. It is determined by taking the average of the best 3-5 years of your working career with that particular company. One method of calculating how much pension income will be. It is determined by taking an average of the income received by the number of years worked for that particular company. method of calculating how much pension income will be. It is determined by taking the average of the best 3-5 years of your working career with that particular company. One of thOne of the options available to pay the service fees associated with investments. These fees are only charged when you sell your investment and are on a declining scale dependent on how long you own the investment. If you hold your investment long enough, the fees (based on a percentage of its value) will reduce to zero.e options available to pay the service fees associated with investments. You pay the fees (as a percentage of its value) when you purchase your investment, not at any other time. An employer-sponsored pension plan in which the employee knows exactly how much he or she is going to pay for the pension, and how much he or she will receive when retired. Plan contributions are made by both employer and employee. The employee has no say in how contributions are invested, but the employer is responsible for any pension funding shortfall that exists at the time of an employee’s retirement. The employee is informed as to what he or she will receive as a pension at the end of each year of service. A pension plan in which the employee knows exactly how much he or she is going to pay for the pension, but does NOT know how much he or she will receive when retired. In a defined contribution plan, the employer specifies how much will be contributed to the plan on a regular basis. Investment of the funds is generally directed by the employees from a selection of investment options available within the plan and the retirement amount to be received is the result of contributions and investment performance.There is no way to know how much the plan will ultimately give the employee upon retiring. The amount contributed is fixed, but the benefit is not. One method of calculating how much pension income will be. It is determined by taking the highest income earning years with that particular company.determined by taking the average of the best 3-5 years of your working career with that particular company. One method of calculating how much pension income will be. It is determined by whether you meet the predetermined number of years of service with that particular company. A fixed amount will be received, regardless of income earned during your career. One of the options available to pay the service fees associated with investments. You pay the fees (as a percentage of its value) when you purchase your investment, not at any other time. Is a type of low-risk investment that offers a guaranteed rate of return over a fixed period of time (called the term). Generally, you cannot withdraw your money within the term (usually 30 days to five years) and the minimum investment is typically $500 or $1,000. Due to the nature of a GIC, there is very little risk that the principal will not be repaid but the interest rate is also low due to this low risk level. A money market fund's purpose is to provide investors with a safe place "park" their money and are easily accessible (you are not locked into a term). It is a type of mutual fund that is a low-risk, low-return investment and is the ideal place for money that will be needed in the near future, to keep an emergency cash fund, or to park your money while seeking more attractive investment opportunities. To understand how MBS work, it's important to understand how they're created. Let's assume you want to buy a house, so you get a mortgage from a bank. That bank gives you money to purchase your house, and you agree to repay the money according to a set schedule. The bank can then choose to simply collect the interest and your re-payments of the principal over the next several years or it can sell it. If they sell it, your monthly mortgage payments go to your bank and they keep a feend send the rest to the company that purchased it. This transfers some of the risk of someone defaulting on their mortgage to another company and frees up more money for the bank to loan out. As an investor in an MBS, you invest money into the company that purchases the mortgages and it repays you with a fixed rate of return and provides you with monthly income payments. This type of invetment fall in the low to medium risk category. This is essentially a the same as a standard employer pension plan but a PPP is specifically for incorporated business owners and professionals. It is a combination pension plan that offers both a defined benefit (DB) pension and a defined contribution (DC) pension benefit. The key advantage of the PPP design is that it provides flexibility with respect to the amount of contributions made each year: in good years, a business owner might utilize the DB component of the PPP to tax-deduct as much as possible. In lean years, the same business owner may elect to save under the DC component and reduce contributions to a mere 1% of his/her salary. A collection of financial investments, such as Mutual Funds, ETFs, stocks, bonds, etc, held by an individual investor or a financial organization. Is a type of low-risk investment where you essentially loan money to the government for a set period of time (around 3 years) and upon maturity, you receive your principal back in addition to a low fixed interest rate. In Canada, the most popular is a Canada Savings Bond (CBS). Is a type of low-risk investment issued by the Federal Government that matures in 1 year or less. They are used when the government needs to generate money for various initiatives, such as infrastructure. T-bills do not earn interest but are sold at a discount and mature at a value. You buy them from investment dealers and are usually purchased in large denominations. Your interest rateand the payment amount remains the same for the term of the mortgage (usually 1-5 years between renewals). The appeal of a fixed rate mortgage is that they allow you to accurately budget; you know what your mortgage payment will be for a determined length of time, as well as how and when your mortgage will be paid in full.